I’ve been digging more around VMware’s website, but today what caught my attention is they have changed their home page. The folks at VMware must have figured out how big a deal a Green Data Center is for their customers. 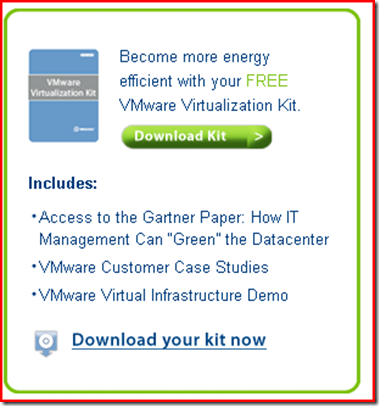 VMware’s Green Page is here. And, they have an energy efficient kit of content. 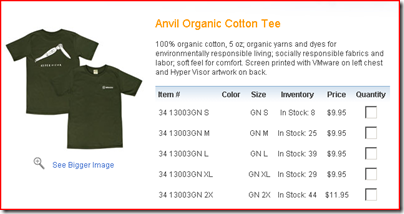 And, their T-shirts are 100% Organic Cotton.